Subaru owner turns his little car into a light show, delighting children and adults alike with Christmas wonder. Tricking your Subaru out with 3,000 lights a little out of reach? The Family Education site has a top ten of uplifting ways that you can (simply and inexpensively) spread a little cheer of your own. Having a tough time deciding where your donation should sparkle this Christmas? 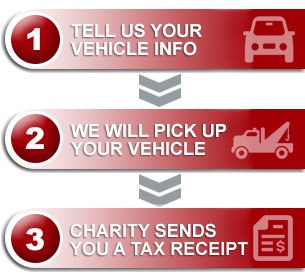 If you’ve found your way to Donate a Car Canada, you have a very specific kind of donation in mind. It’s possible you have a car or truck that needs to be moved off the property before a crowd of family moves onto it? Donating your car through the program here means lots of choice for the designation of your gift. Narrow down the charities you wish to support (Thinking in categories may help? Kids, animals, community support, special interests, or an illness that’s impacted your family are some places to start). Pick one, connect with our team, and we’ll get your donated vehicle picked-up in time for you to clear the driveway.